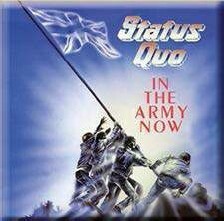 The title track off In The Army Now was Status Quo’s equal biggest hit of the 1980s, which felt like one in the eye for the many who said they’d never survive the in-fighting and legal disputes that preceded its release. After Live Aid in 1985, founding bassist Alan Lancaster quit. John “Rhino” Edwards joined to replace him, along with new drummer Jeff Rich, to make the 17th Quo album. While the boogie-rock formula never relents and would never be expected to, there are isolated changes in focus and tone, with unusual subtlety on display for a Status Quo recording, possibly influenced by the new boys. 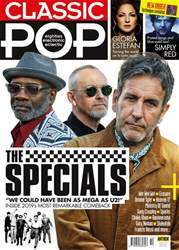 The other singles – Rollin’ Home, Red Sky, Dreamin’ – all nodded to a more popfriendly audience. Each made the Top 20. Elsewhere, the highlight is unquestionably the surf rock piledriver End Of The Line, while Calling features not only nice brass overdubs, but girly backing vocals. Invitation, meanwhile, is Quo duplicating the Eagles, and quite the delight for it.